Less than four weeks after the Central Bank of Nigeria (CBN) slammed heavy fines on four banks and MTN, there is the likelihood that the apex bank might reverse the fines. An indication to this emerged, on Wednesday, in a statement by Mr. Isaac Okorafor, the CBN spokesman. According to him, “the banks and MTN are engaging the CBN, and have provided additional information which is currently being reviewed with a view to arriving at an equitable resolution”. The four banks sanctioned were Standard Chartered Bank, Stanbic-IBTC, Citibank and Diamond Bank. Announcing the sanctions, Okorafor said CBN’s actions became necessary following allegations of remittance of foreign exchange with irregular Certificates of Capital Importation (CCIs) issued on behalf of some offshore investors of MTN Nigeria Communications Limited and subsequent investigations carried out by the apex bank in March 2018. 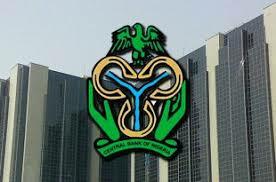 But a press statement by Okorafor on Wednesday stated that, “The Central Bank of Nigeria (CBN) acknowledges the public interest over sanctions recently imposed on four deposit money banks (DMBs). “In response to the recent regulatory actions, the Banks and MTN are engaging the CBN and have provided additional information which is currently being reviewed with a view to arriving at an equitable resolution. “We assure all investors that the integrity of the CCI regime remains sacrosanct and there shall be no retroactive application of foreign exchange rules and regulations.